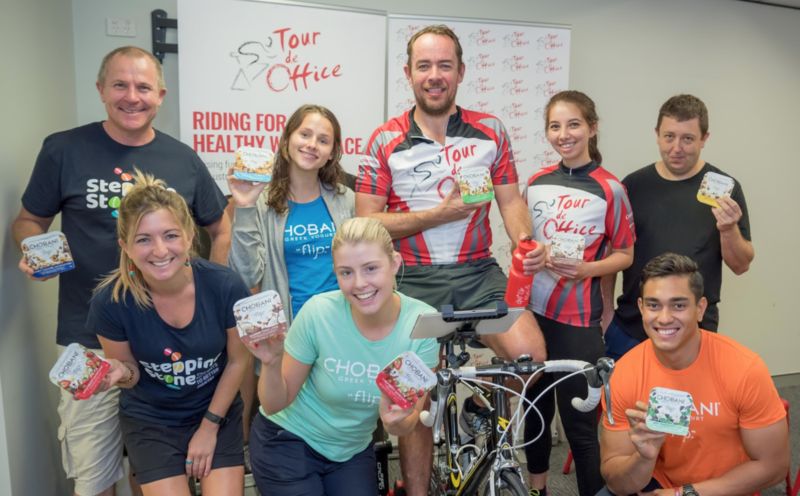 Tour de Office and Chobani Australia have joined forces for to deliver Australian workplaces yogurt with a crave-worthy crunch, helping our riders to keep their energy levels up throughout their ride. 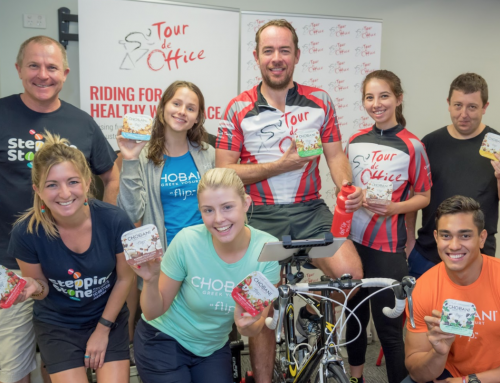 1)Take a photo of yourself eating Chobani Flip Yogurt with the Tour de Office bike in your office. 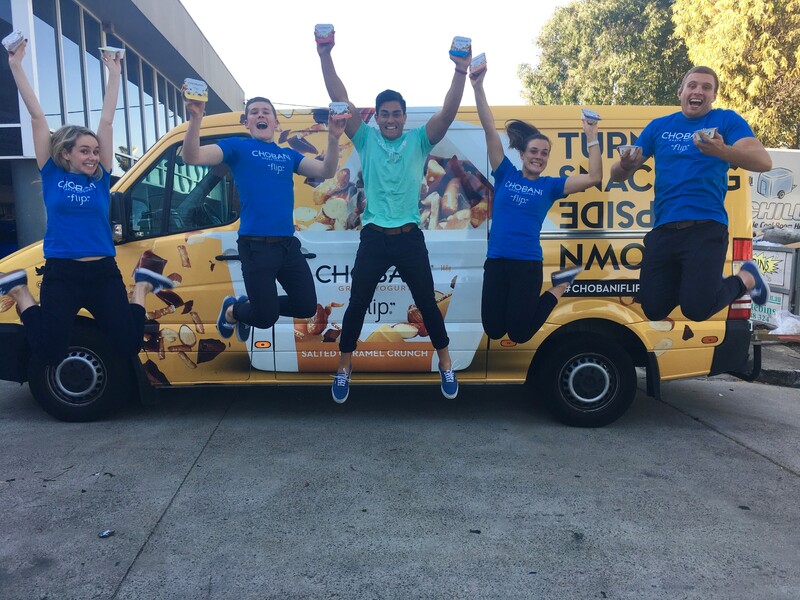 2) Post the photo on the TDO Facebook wall and tag @Tour De Officeand #ChobaniFlip. 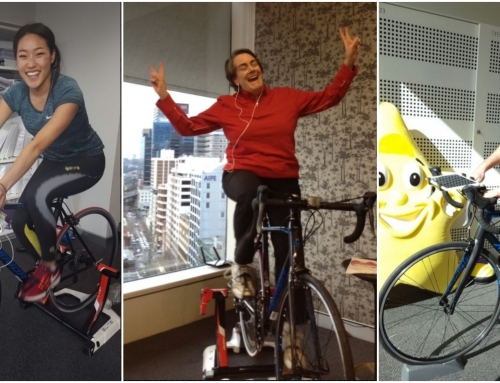 Entries open for all Tour de Office events in major cities. Entries close at 11.59pm 20th October 2017. 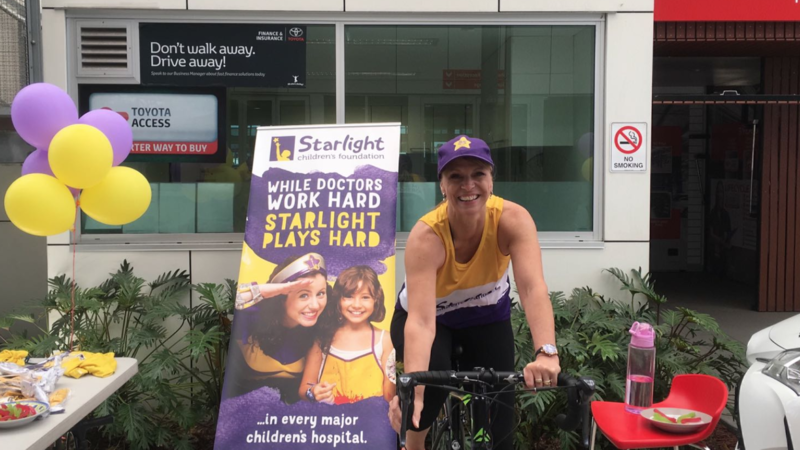 Keep your eye out for the CHOteam at your workplace during Tour de Office! 2. Entry is open to Australian residents aged 18 years or over. 4. The entry period will begin on Monday 21st August at 8am and conclude on Friday 20th of October at 11.59pm. 7. Multiple entries permitted, subject to the following: (a) each entry must be substantially unique; and (b) each entry must be submitted separately and in accordance with entry requirements. 8. The Promoter reserves the right, at any time, to verify the validity of entries and entrants (including an entrant’s identity, age and place of residence) and reserves the right, in its sole discretion, to disqualify any individual who the Promoter has reason to believe has breached any of these Terms and Conditions, tampered with the entry process or engaged in any unlawful or other improper misconduct calculated to jeopardise fair and proper conduct of the promotion. Errors and omissions may be accepted at the Promoter’s discretion. Failure by the Promoter to enforce any of its rights at any stage does not constitute a waiver of those rights. The Promoter’s legal rights to recover damages or other compensation from such an offender are reserved. 10. The entries received will be individually judged against all other entries in that Entry Period based on originality and creativity. The judging will commence Monday, 23 October 2017. The judges may select additional reserve entries which they determine to be the next best, and record them in order of merit, in case of an invalid entry or ineligible entrant, or in the event the first selected entrant. 11. The winners will be notified by way of a comment on their winning entry or by a direct message to the winner via Facebook. The winner will then be required to contact the Promoter by the time specified in the notification post/message in order to verify their entry and organise acceptance of their prize. 13. 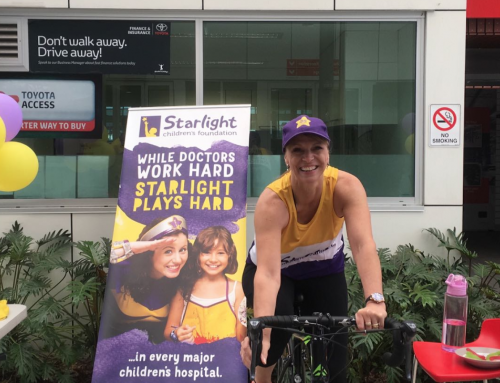 The best valid entry as determined by the judges, will receive a delivery of a large Flip gift box with a Tour de Office branded-shirt and water bottle. The winner must live within a 30km radius of Melbourne, Sydney, Brisbane, Perth & Adelaide CBDs. 14. If for any reason a winner does not take a prize (or an element of a prize) at/by the time stipulated by the Promoter, then the prize (or that element of the prize) will be forfeited. 15. If any prize (or part of any prize) is unavailable, the Promoter, in its discretion, reserves the right to substitute the prize (or that part of the prize) with a prize to the equal value and/or specification. 17. 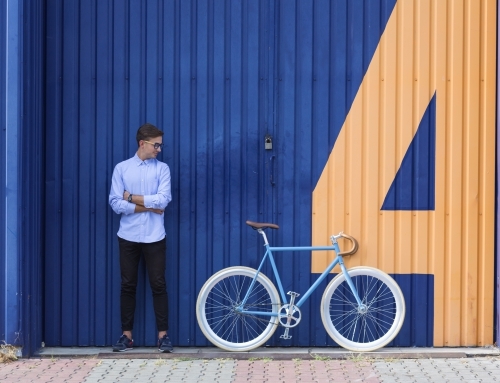 Entrants agree that they are fully responsible for any materials they submit via the promotion including but not limited to Photographs and comments (“Content”). The Promoter shall not be liable in any way for such Content to the full extent permitted by law. The Promoter may remove or decline to publish any Content without notice for any reason whatsoever. Entrants warrant and agree that: (a) they will not submit any Content that is unlawful or fraudulent, or that the Promoter may deem in breach of any intellectual property, privacy, publicity or other rights, defamatory, obscene, derogatory, pornographic, sexually inappropriate, violent, abusive, harassing, threatening, objectionable with respect to race, religion, origin or gender, not suitable for children aged under 15, or otherwise unsuitable for publication; (b) their Content shall not contain viruses or cause injury or harm to any person or entity; (c) they will obtain prior consent from any person or from the owner(s) of any property that appears in their Content; (d) the Content is the original work of the entrant that does not infringe the rights of any third party; (e) Content which may otherwise infringe the Content creator’s/creators’ moral rights pursuant to the Copyright Act 1968 (Cth) and warrant that they have the full authority to grant these rights; and (f) they will comply with all applicable laws and regulations, including without limitation, those governing copyright, content, defamation, privacy, publicity and the access or use of others’ computer or communication systems. Without limiting any other terms herein, the entrant agrees to indemnify the Promoter for any breach of the above terms. 18. As a condition of entering this promotion, each entrant licenses and grants the Promoter, its affiliates and sub-licensees a non-exclusive, royalty-free, perpetual, worldwide, irrevocable, and sub-licensable right to use, reproduce, modify, adapt, publish and display their entry (which shall include Content) for any purpose, including but not limited to future promotional, marketing or publicity purposes, in any media, without compensation, restriction on use, attribution or liability. 20. 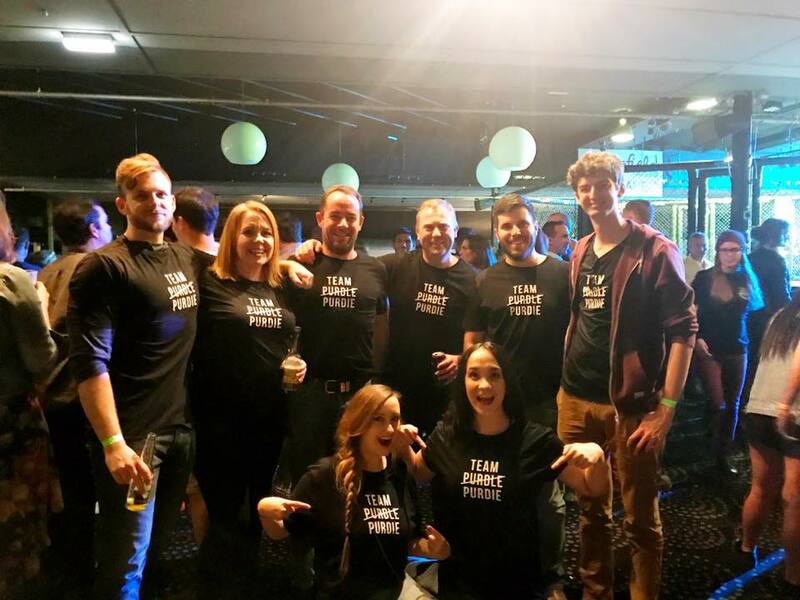 If this promotion is interfered with in any way or is not capable of being conducted as reasonably anticipated due to any reason beyond the reasonable control of the Promoter, including but not limited to technical difficulties, unauthorised intervention or fraud, the Promoter reserves the right, in its sole discretion, to the fullest extent permitted by law: (a) to disqualify any entrant; or (b) to modify, suspend, terminate or cancel the promotion, as appropriate. 21. Any cost associated with accessing the Internet is the entrant’s responsibility and is dependent on the Internet service provider used. 23. Except for any liability that cannot by law be excluded, including the Non-Excludable Guarantees, the Promoter (including its respective officers, employees and agents) is not responsible for and excludes all liability (including negligence), for any personal injury; or any loss or damage (including loss of opportunity); whether direct, indirect, special or consequential, arising in any way out of: (a) any technical difficulties or equipment malfunction (whether or not under the Promoter’s control); (b) any theft, unauthorised access or third party interference; (c) any entry or prize claim that is late, lost, altered, damaged or misdirected (whether or not after their receipt by the Promoter) due to any reason beyond the reasonable control of the Promoter; (d) any variation in prize value to that stated in these Terms and Conditions; (e) any tax liability incurred by a winner or entrant; or (f) taking/use of and/or participation in a prize. 25. Entry and continued participation in the promotion is dependent on entrants following and acting in accordance with the Facebook Statement of Rights and Responsibilities (which can be viewed at www.facebook.com/terms.php). 26. This promotion is in no way sponsored, endorsed or administered by, or associated with, Facebook. The information an entrant provides will only be used by the Promoter for the purposes outlined in these Terms and Conditions. Any questions, comments or complaints about this promotion must be directed to the Promoter and to Facebook. 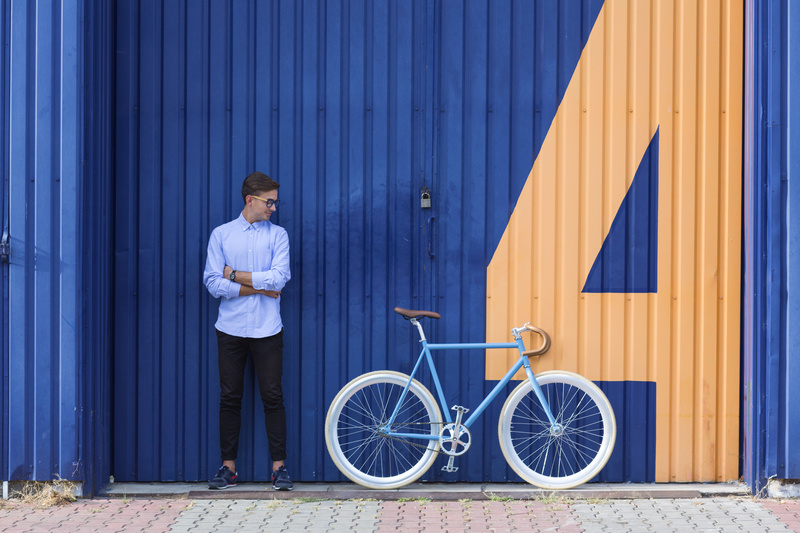 Facebook will not be liable for any loss or damage or personal injury which is suffered or sustained by an entrant, as a result of participating in the promotion (including taking/use of a prize), except for any liability which cannot be excluded by law. 27. The Promoter is the Tour de office Foundation (ABN 96865172834) of 265 Coronation dr. Milton, QLD 4064.